Cards measure 3.65" x 7.75" Box measures 4.5"x 8.25"
The guidebook provides a history and keys to both upright and reversed positions. The author, Stuart R. Kaplan, demonstrates his understanding of the history and uses of this deck. He also states that there is no direct evidence that the deck was used for divination. He further asserts that the people of the Renaissance were fascinated with the occult and that these cards may have been used for this purpose. I hesitated to do a spread because of the different structure and the absence of numbers or names (this may complicate a reading for those who are not accustomed to examining the art of the cards) but I did a 10 card spread as suggested by the book. First, I relied on the book for help in the meanings. The virtues provide a different depth for a reading. The pip cards were not difficult since my first deck was of the Marsailles group. The meanings were similar. 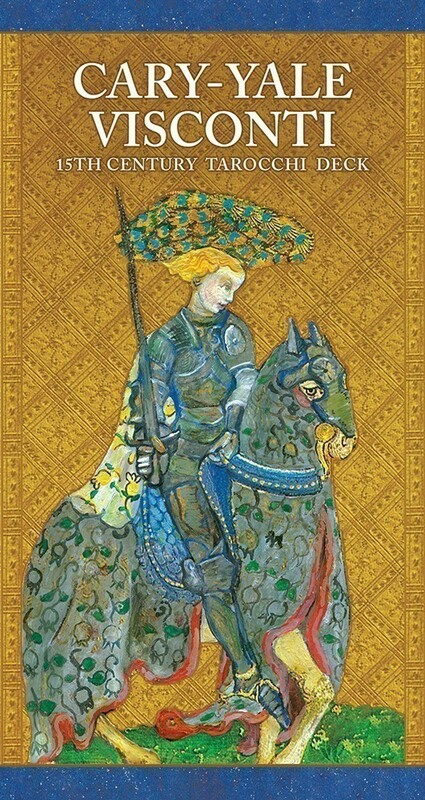 The male and female pages and knights provided a broader reading. 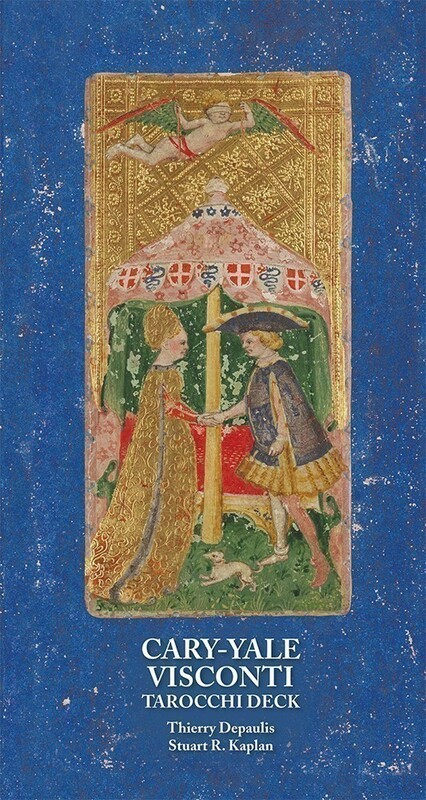 The court cards have facial expressions which are similar to art of this period. At the personal level, they communicate the richness of the Renaissance. 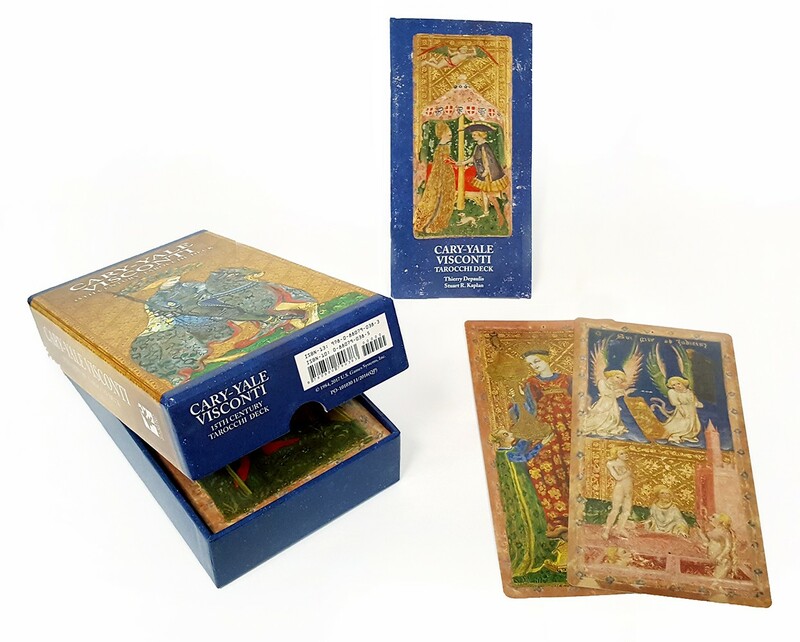 This deck is a beautiful addition to the historical tarot collection. When used for readings, it may causes the beginner problems due to the lack of numbers and structure of the court cards. The extra large size of the cards may make shuffling difficult. Overall, I find this deck valuable for the history and the use in readings.